Near to Sintra lies, in the middle of a pine tree wood and an orchard with a.o. lemon and orange trees, Quinta do Floral. The villa, situated on a 10.000 sq. meters property, is comfortable and beautiful. On the property there is a luxurious private swimming pool with outside shower, surrounded by a beautiful terrace. On the terrace in front of the house there is a barbecue and a tile table and bench for 6. 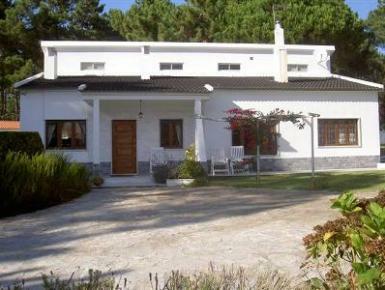 The villa is very private and has a beautiful view towards the mountain of Sintra. For all those who like their privacy and contact with nature, this “Quinta” is the ideal place to spend their holidays.